For my experiments with electronic tubes I needed a voltage regulated power supply from 1 Volts to 250 Volts DC. Later I used this circuit in my homemade tubetester. Be carefull! High voltage is deadly! 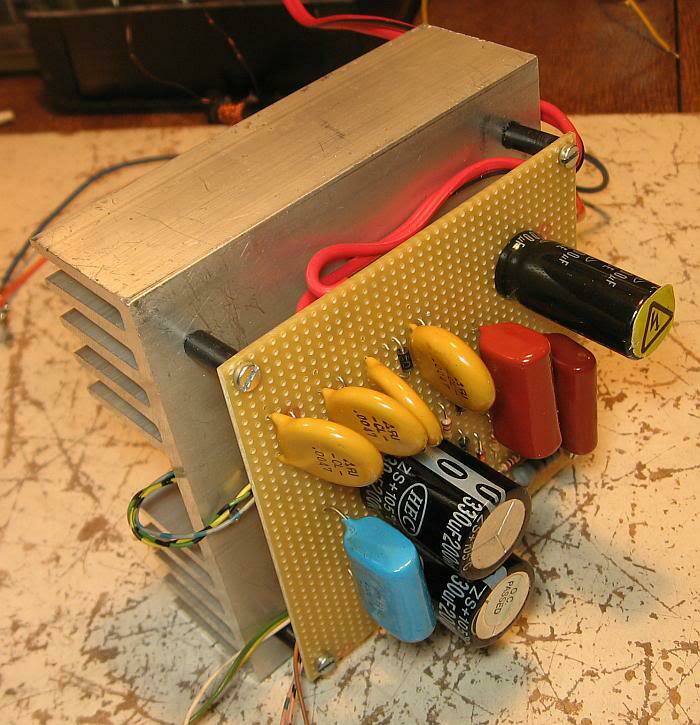 Circuit of my homemade high voltage DC power supply form 1 – 250 Volt, 30 – 260 mA. (picture with higher resolution). P1 ist for the voltage control. P2 is for the current control. R5 avoids unwanted oscillation. D8 is not necessary. The IRF840 has to be mounted on a big heat sink. If the IRF840 is destroyed by overheat the output voltage will suddenly increase to more than 400 Volts. 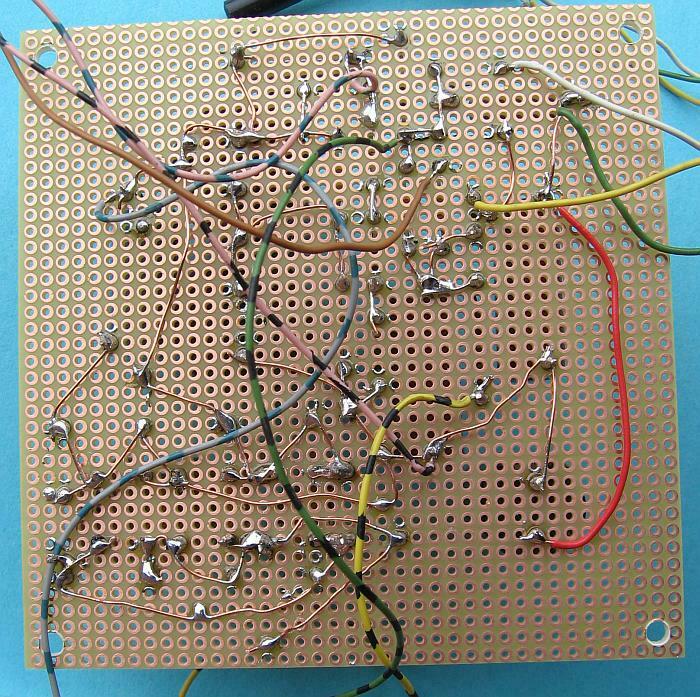 The wiring of the board. 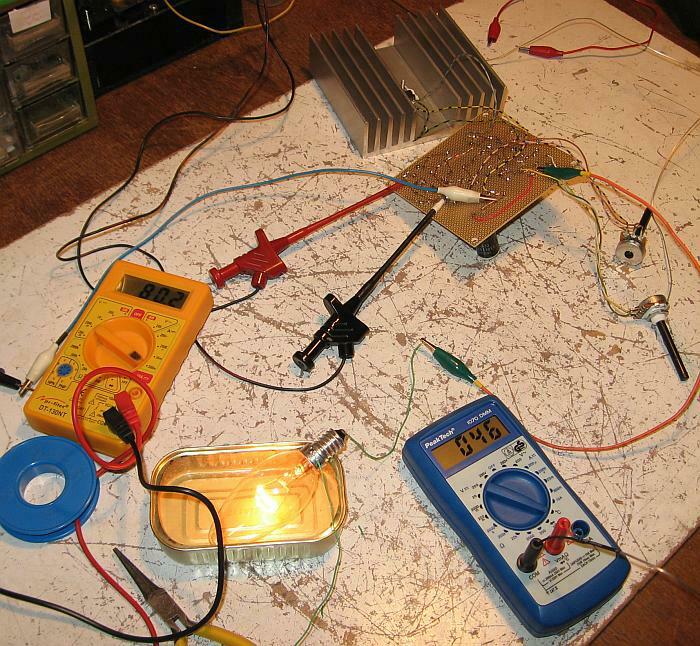 Testing the power supply with a 230 Volts / 25 Watts electric bulb. Output voltage = 140 Volts, output current = 80 mA. The heat sinks temperature is 46 Degrees Celsius. 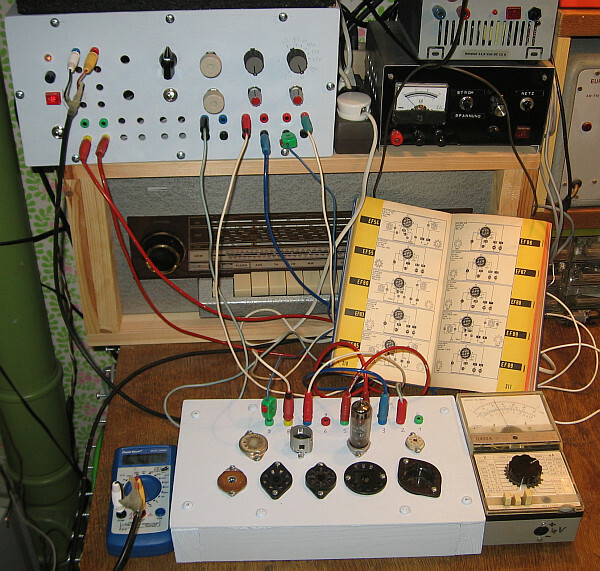 Some years later this power supply becomes the central part of my homemade tube tester.